Our seniors need extra care from someone who wants to help not just push patients through the line. Our staff are keenly interested in not only finding the problem but explaining it along with the treatment. We can also assist you in choosing programs that may better suit your coverage needs. To learn more click the button below. Dr. David Butler takes great pride in helping our veterans because he is one himself. Eager to serve his country he joined the Navy at 17 years of age. After leaving the military he decided to dedicate his life to helping the men and women who have given all for their country. From assisting with transportation needs for visits to our office, to showing veterans how to recieve $0 cost coverage for their medical treatments and prescription medications, Dr Butler is always going the extra mile to make sure every veteran recieves the full care they deserve. Dr David A Butler, since starting the practice of medicine has had the goal to provide high-quality medical care with a focus on prevention of chronic illness. 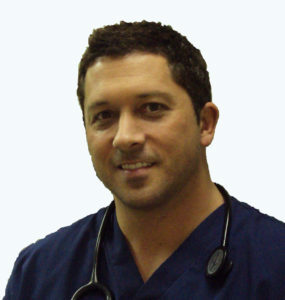 After graduating medical school at WVSOM in 2003, completing his residency and becoming board certified in Family Medicine in 2006 he has managed patients in both office and hospital settings, practiced as an ER physician and held the medical director position in two skilled nursing facilities. Please tell us what date and time you wiuld like the appointment. With my career field I have the ability to see doctors "behind the scenes". With that said, out of all the medical staff I work with, I chose Dr. Butler to treat myself and my entire family. He is an excellent physician with outstanding ability to treat patients. He cuts to the chase and will explain causes and treatments to you. His staff are trained and knowledgeable and always put a smile on your face. Excellent medical experience. Very thorough, willing to take time and answer questions. Was able to adjust medications, recommend a healthy diet plan. Feeling much better from the experience of being a patient of Dr. Butler for many years. Very polite and professional. All medical advice received was very thorough and thought through. Diagnosis was spot on and there were no questions left that were needed to be asked. Time is not an issue with waiting to long or getting enough spent with you. Dr. Butler has been my primary physician for many years, before he left and after his return to Port Charlotte, and he is by far the most compassionate and experienced primary care doctor who truly cares about each of his patients, as well as his entire staff! They are all very professional and caring and I know that all my needs are met to the best possible way. I can call anytime and ask for help and they are always they to help. I can trust all my health care needs to him and his staff always! He’s been my PCP for years! Love how fast they get you in and the attention he spends with every patient! He is externally thorough and gets the job done right every time!